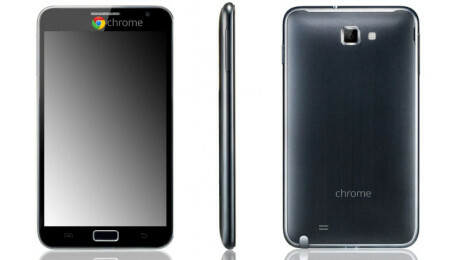 Google Will Release a New Device Called the Chrome Phone! In 2011, Google acquired Motorola. In 2014, Lenovo acquired Motorola. Somewhere in between, Google announced a new product under way called the Moto X. It wasn’t really all that cool even though it incorporated some Google technologies. Its lack of revolutionary success is probably what lead to Google saying “Ah, never mind” about the Motorola acquisition and letting Lenovo take over. If I know Google, they’re not going to give up though. These recent developments, including the Android are just trials and failures before they release the real deal. And I believe the real deal will be known as the Chrome Phone. It sounds cool and it will look cool and will incorporate all the features and functions of a Chromebook, but in mobile device form. User’s will be required to have a Google Plus account and Gmail and all the related apps. And just like the Chromebook, they will sell for way too cheap just to get people to buy into it. But, I believe it will be a great product and I hope it puts I-phones out of contention. I have a patent on this idea so you shall pay me royalties. I have tons of more great ideas, so please hire me.